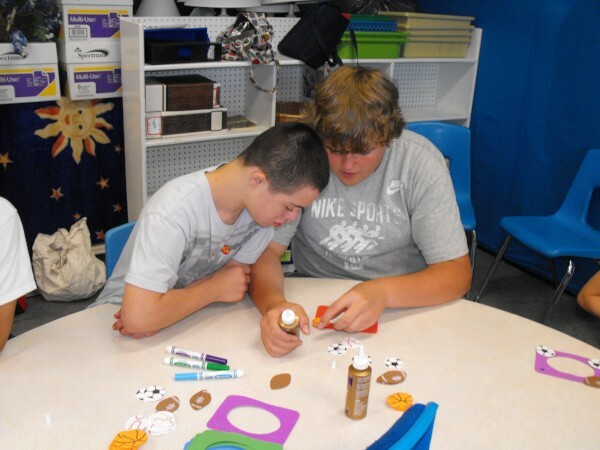 During these years that your family member is immersed in school, make the most of the support they have to focus on emerging independent living skills, employment opportunities, and connections to your community. Typically, after age 21, school activities and school based services end. It is important to learn as much as you can about the road ahead so that you can begin to prepare your family member for a full life after school. Watch this 30 minute video overview with 17 local agency representatives. Available in English & Spanish. Is this right for you? Find a wealth of information here. Here are some helpful hints (in a pdf) that may assist you: The Social Security Application Process to file an application for yourself or a child AND what can you do to prepare. The focus during these years of transition points to employment, independent living skills, and advocacy. Make the most of the services and programs available. A self-directed questionnaire for every stage of life. For ages 14-21: "It’s important for me to have a say in where I live and work and what my life looks like. I need goals and people to help me get there. Please fill this plan out together with me." Who can vote in Washington State. Find out what you qualify for and how Social Security can help you. (This includes SSI) - Check eligibility requirements, whether you can apply online, and find employment support and work incentive program information. A handy checklist of things to take care of as your student transitions from school to work. The wallet card is a tool to be used by a teenager or an adult with Autism Spectrum Disorder (ASD) or intellectual disabilities. Visit us to see how to apply for and use a card, when to use it, and tips on how to safely interact with law enforcement and first responders. Helpful checklist and tools to aid in navigating the transition from school to adulthood. Starts at age 14. If you’re getting close to your 16th birthday, you’ll want to pay extra attention to this idea because a Transition Plan gets added to your IEP in the school year when you turn 16. Here are some practical tips and a range of resources to help youth and families make well-informed decisions. Programs and opportunities are available. A team effort provides support and guidance to students with disabilities as they prepare to move from high school to the work place. Each student’s transition team includes the student, parents, school staff, and VR Counselors. Looking ahead to employment services and what each agency does. Local resources that assist with finding employment.